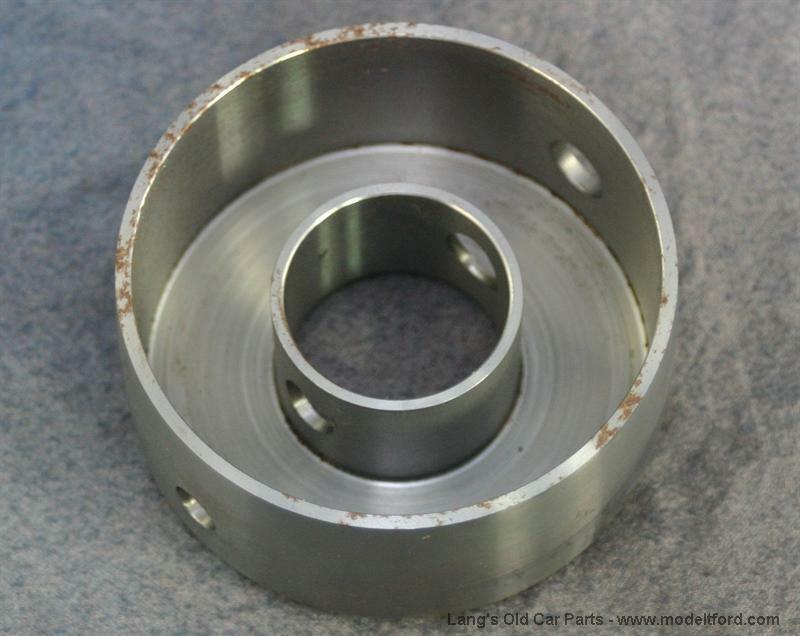 Crankshaft pulley with under size crankshaft hole for worn cranks. Crankshaft pulley with under size crankshaft hole for worn cranks. Original shape with correct crown for the fan belt. This pulley will give you a nice tight fit for the crankshaft and crank pin thus fixing a noisy problem on most T’s. This steel pulley has a .002 smaller bore than standard, if your crankshaft is that not worn you can hone this to size with a brake cylinder hone. This has an outside diameter of 3"
I have a Model T and the fan belt comes off regularly Would a fan belt guide correct my problem. There does not seem to be a lot of play on any of the pulleys but the belt spins off periodically. You most likely have a problem with the crown shape in the pulleys or the belt is defective/stretched. The crown is the convex shape in the pulley which when a belt runs on top of the pulley it wants to run on the highest spot or the crown. What do you use to connect pulley to the crankshaft? The pulley slips onto the crankshaft and is held on with a pin. either the 3040 or the 3040B depending on the size of the pulley. You will want to make sure the pulley is not to lose on the crankshaft. If its able to move at all it will make a knocking noise.